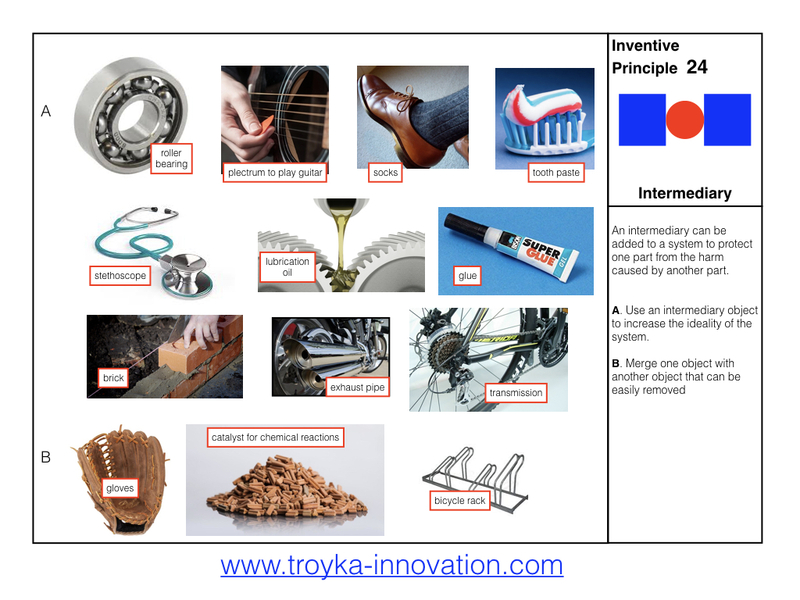 TROYKA INNOVATION offers a 3 day comprehensive course “Inventive problem solving using TRIZ”. This course covers all the tools of TRIZ. After graduating from the course, the participants will be able to apply TRIZ techniques to their own work and real life problems. TROYKA has developed two books specifically for this course. This manual contains 26 tools that together comprise TRIZ. Each tool is presented in an easy-to-apply format. For each tool an example is included. With this manual, course graduates can perform TRIZ on real life problems. Inventive principles are generic solutions to resolve technical contradictions. 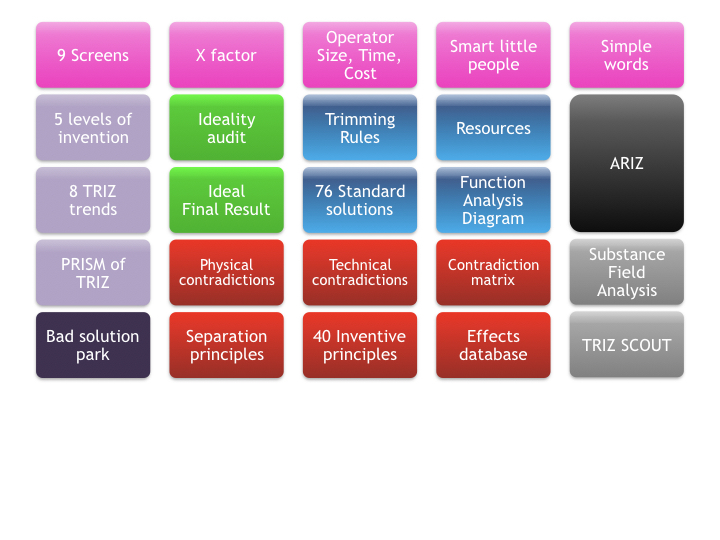 The TRIZ method recognizes 40 Inventive Principles, such as “Prior action”, “Rushing through”, “Phase transition” and so on. These principles are often perceived as abstract. To overcome this barrier with course participants, this book gives real life implementations of Inventive Principles in 370 illustrations. The course is suitable for a wide audience. 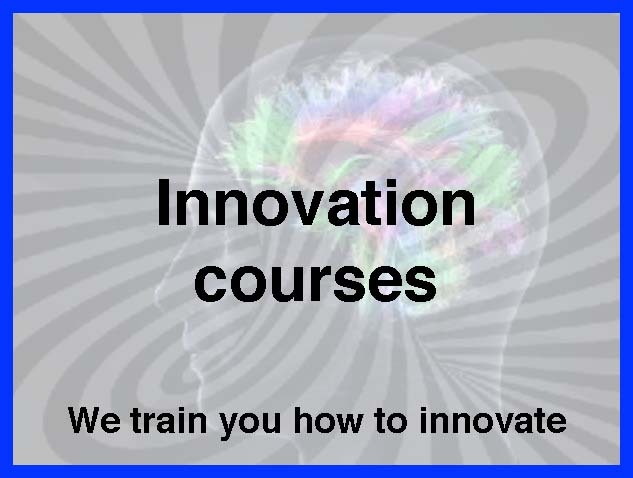 This course is remarkably complete with emphasis on technical innovation. In addition there was a lot of attention to the mental aspects of getting to results, and much room for practicing TRIZ during the course. I feel I have gained valuable experience. This course offers the possibility to analyse any idea, modify it and improve it.